Cheese. For some, it conjures an audible sigh of pleasure at just the mention of the word. 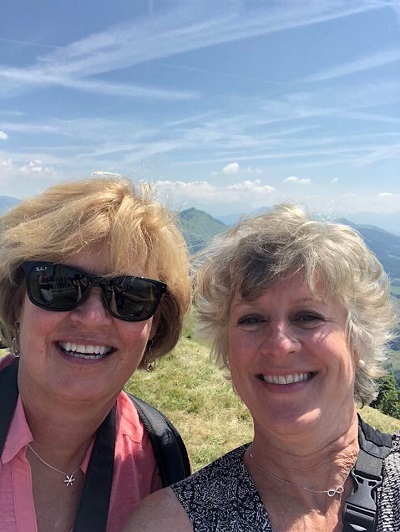 For Ann Soderberg and Martha Stearns, it launched them into a culinary adventure across the world that they won’t soon forget. 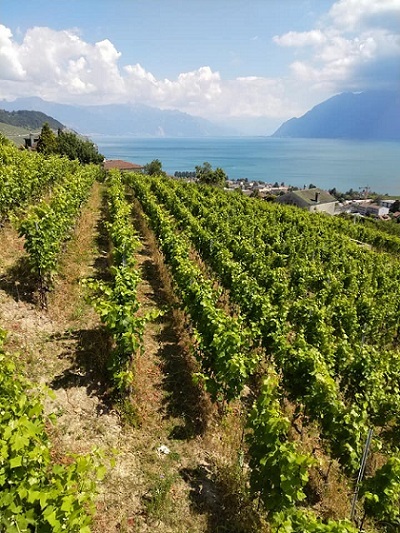 For eight days, the duo explored the culture, food, and wine of France and Switzerland among a group of twelve fellow travelers who were equally enthralled by all things cheese. It was part of a tour company owned by BHS Alumnus Amanda Green’s husband, Aaron Schorsch. The company, Saveur the Journey, specializes in taking small groups to off the beaten path areas to connect with locals and have authentic, non-touristy experiences. demonstrations. Along the way, the group also hiked through the Alps and swam in Lake Geneva to help burn off some of the calories. 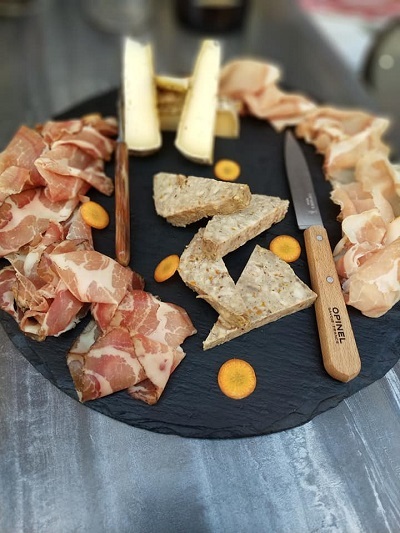 The tour led the group to Thonon Les Bains, where a butcher showed them the traditional craft of curing meat and demonstrated the process of butchering meat. They also attended a cooking class focused on the single origin of chocolate, where they made eclairs, chocolate mousse and chocolate cake. They visited the cheese maker in Feternes, who first took them on a tour, demonstration and tasting and then to his home where they had a cheese fondue. A local pastry maker taught the group how to make ice cream and allowed them to taste an array of pastries made on site. They went to a farmer’s market and cooked with local ingredients and toured a local bakery, where the group learned to make bread. Throughout the adventure, they ate in private homes, had picnics and fine dining experiences, and tasted local favorites. 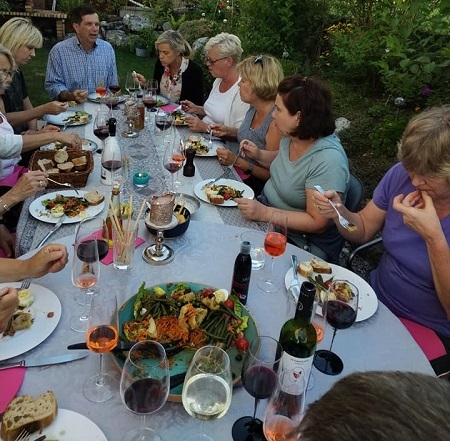 In addition to the culinary trip in which the friends participated, Saveur the Journey also offers ski trips in the same region and in Japan, a food tour to Northern Italy, and fly fishing and wild foods trips to Northern Sweden above the Arctic Circle. Each trip focuses on embracing the authenticity of local communities, food and people and allows participants to use all their senses to fully experience the world around them. For more information about the tours, visit saveurthejourney.com or find them on Facebook.